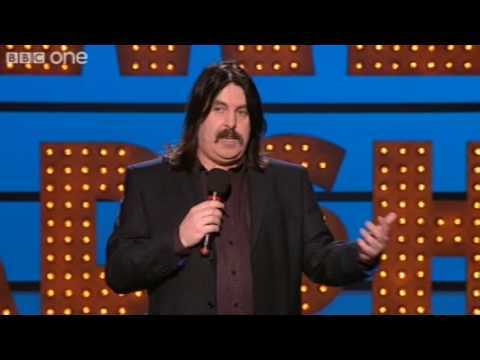 Since arriving on the circuit Mick has become well known as a fine purveyor of lugubrious surrealism and has appeared as a stand-up comedian all over the country. He is also in demand as one of the finest comperes around, a task he has performed at The Frog and Bucket, The Buzz, Murphy’s Malarkey and many others. He also recently appeared in Channel M’s The Frog and is a regular at The Comedy Store’s M.E.N At Work topical night. With Owen Rankin and Peter Slater he is one of the bizarre comedy trio Dr Strangehair, who have won plaudits from many newspapers for their zany sketches, and offbeat humour littered with pop culture references. They were recently asked to accompany Badly Drawn Boy on tour and are constantly recommended by City Life Magazine. According to your compere Toby Hadoke, Mick Ferry is "definitely one of the most original acts around, brilliant with the audience and able to pluck fantastic material from thin air in a apparently effortless manner." That’s a poncy way of saying he’s F***ing Great ! Best night ever. 1st time been to a comedy night & will defo come again. Loved every second!